After that we drove a few minutes away to Palomar State Park, which is basically some campgrounds and hiking trails. Also located there is the Boucher Hill Fire Lookout. 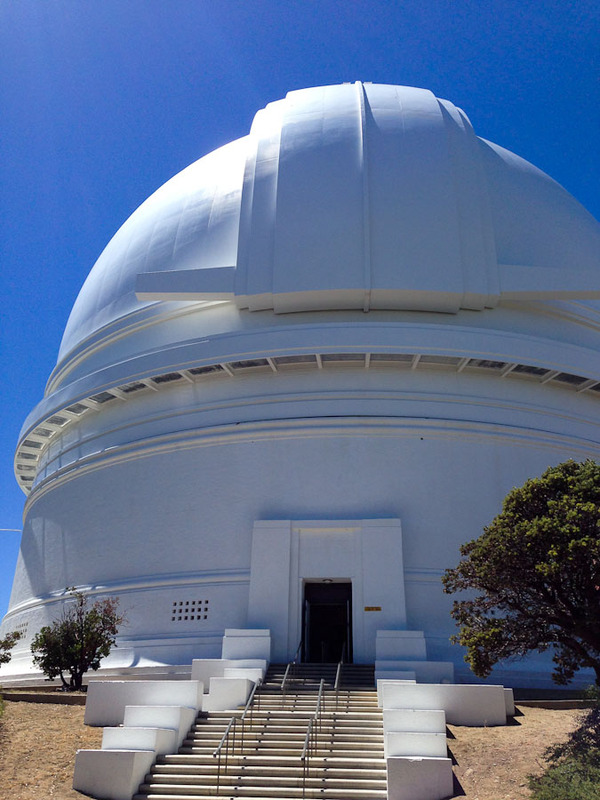 Restoration has been in progress for several years and is nearly complete. 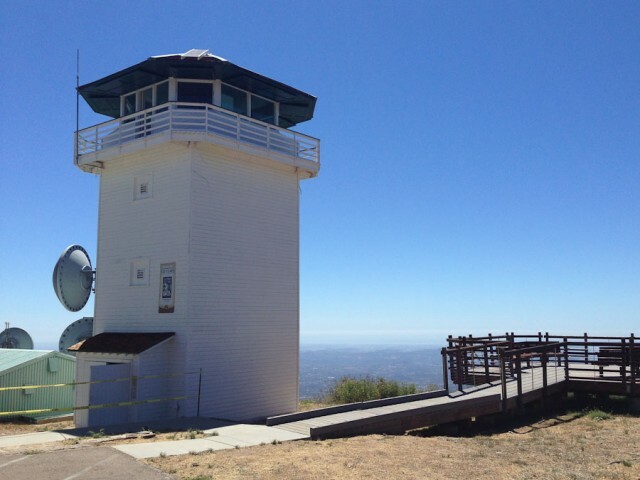 The lookout was manned that day and we were invited up for a visit. You can see all of the way to the ocean and down south to Mexico. Panoramic view from inside the lookout. Brother is left of the fire spotter volunteer on right. Click for much larger. The next day was filled with eating too much and visiting relatives. No photos of that. 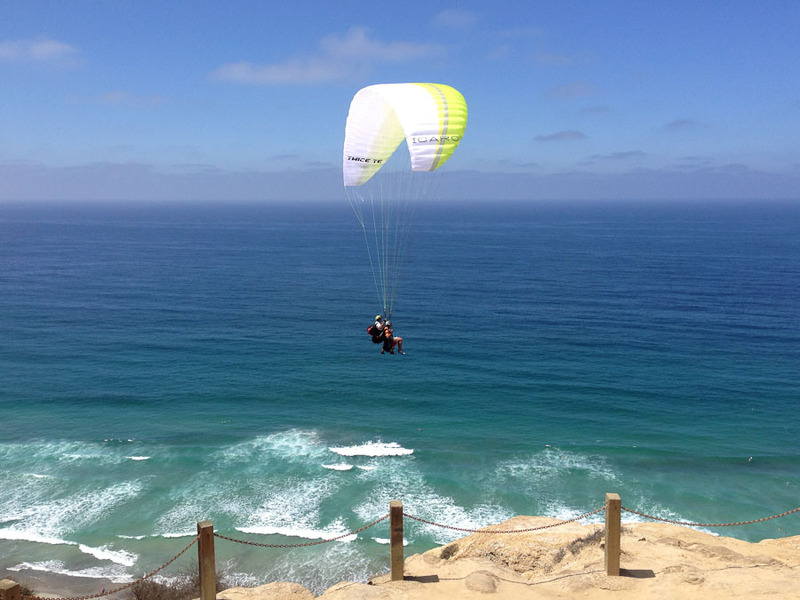 I met up with my friend Joel and we headed out to the Torrey Pines Gliderport. It is located up on a cliff above the ocean. The westerly winds coming from the ocean hit the cliff and create a continuous updraft. 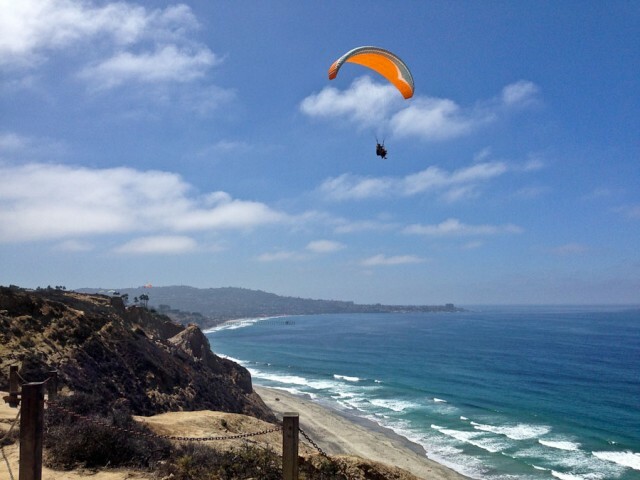 Looking south from the gliderport towards La Jolla, California. 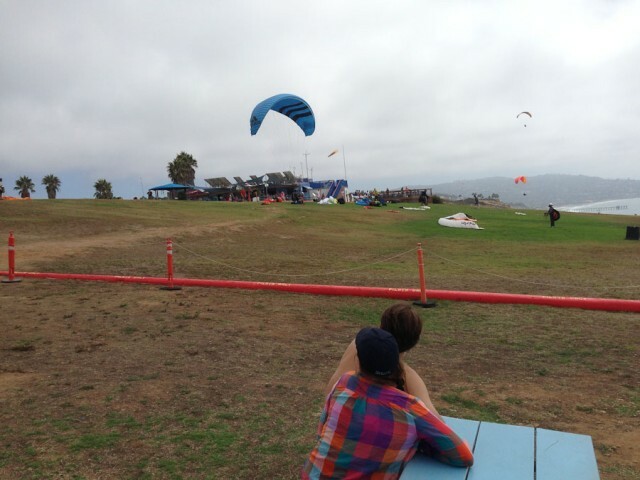 Some paragliders had two chairs. Click for larger. 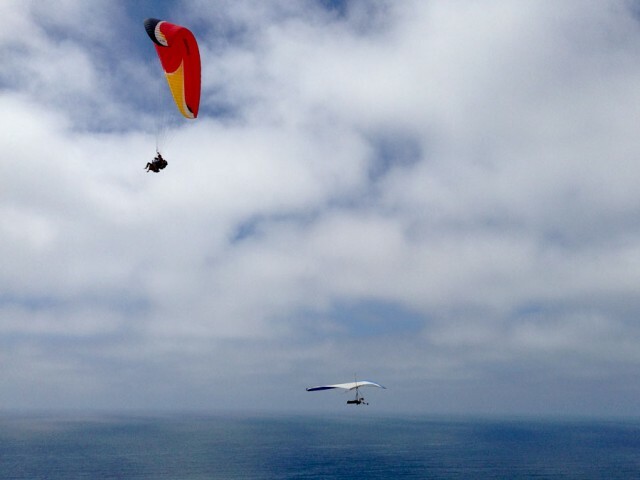 Hang glider below a paraglider. 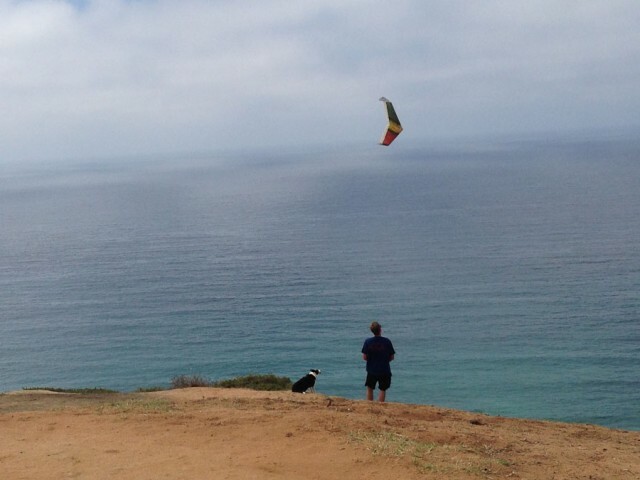 A man flying his radio controlled glider. I had a radio controlled sail plane when I was a kid. I built it from a kit. On its second flight it suffered irreversible damage from a crash. To take off, you just run down the grassy slope and off the cliff. 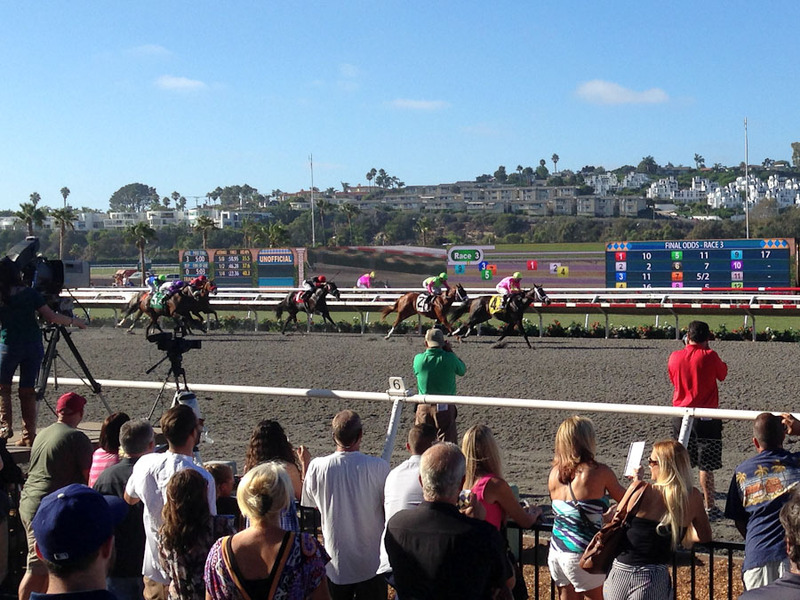 Then it was off to the horse races at Del Mar. 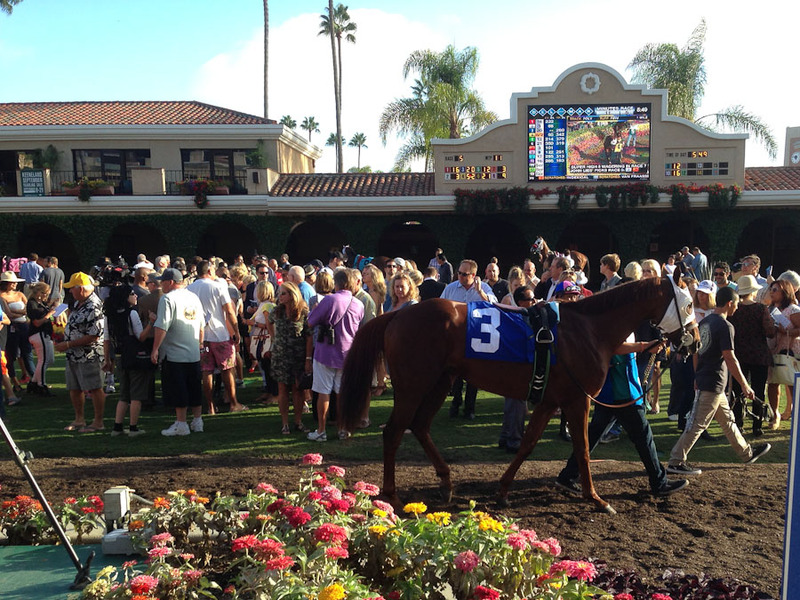 I like to watch the horses when they are paraded around the paddock prior to each race. 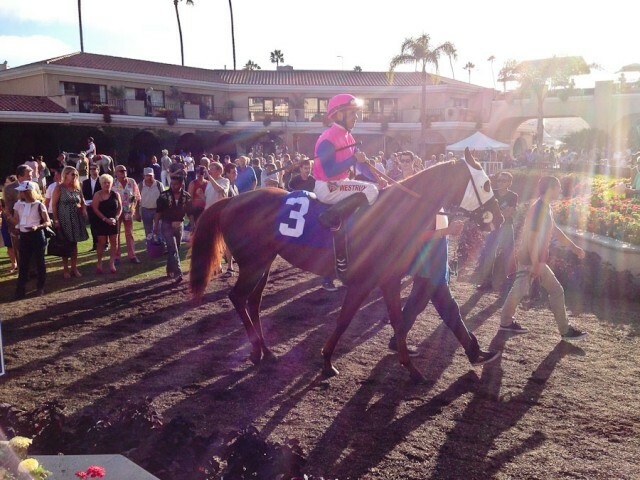 Then, like to see how they look with a jockey on them. Then I place a bet and hope for the best. I won $38 in the first race by betting an exacta (picking first and second place horses). That gave me a little spending money for the rest of the day (which I lost). The next installment, part 3, is here.